Applications for October 2019 entry are still being accepted. The University of Oxford’s online Postgraduate Certificate in Nanotechnology is an online course aimed at professionals from a diverse range of backgrounds who wish to learn more about the foundations of nanoscience and nanotechnology, technological advances and the applications enabled by nanotechnology. There are opportunities to access cutting-edge research and current practice in a wide range of nanotechnology topics. The course provides relevant, meaningful and up-to-date learning to enhance career development that is recognised and accepted within industry. A modular structure allows a flexible approach to learning and each module may be taken as an individual short course. The tutor-led approach lends cohesion to the distance learning experience which is tailored for busy people in full-time employment who wish to minimise time away from the workplace to study. You may also be interested in applying for one of the modules from the Postgraduate Certificate in Nanotechnology as a short course. Please keep me informed about the Nanotechnology programme. Download the latest Nanotechnology programme brochure . Nanotechnology is the production and application of devices and systems at the nanometre scale, which is of the order of one billionth of a meter. Developments in this area of technology are now coming to fruition, and increasingly impacting our daily lives. However, it is recognised that there is a need for more people to understand the basics about this technology. The University of Oxford's online Postgraduate Certificate in Nanotechnology offers a ten-month introduction to the subject. The course is taken part-time and online meaning that it can be taken from anywhere in the world by those seeking a solid foundation in nanotechnology, whilst having the option of working full-time. The course uses a blend of individual study of online learning materials, together with group work during live online tutorials, discussions and research. The group sessions with tutors are particularly valuable because they offer highly authentic learning and assessment opportunities. 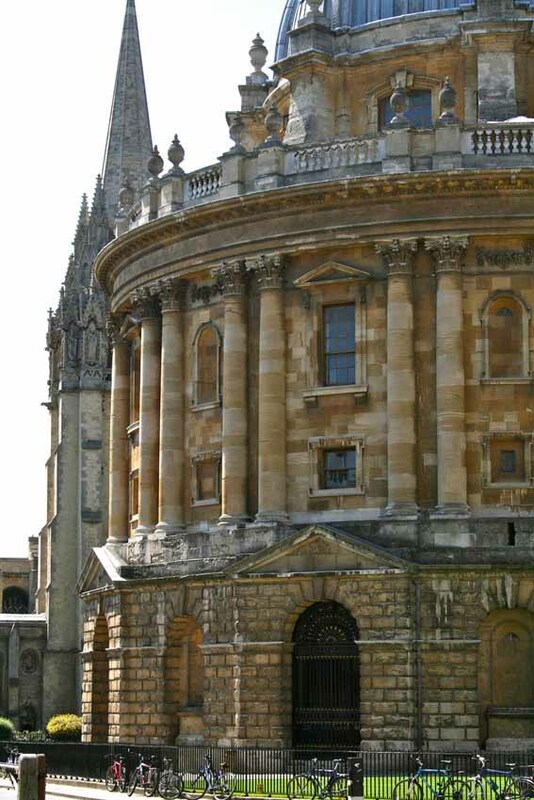 Throughout the course, students can use the University of Oxford’s excellent electronic library resources to enable them to complete the assignment tasks. The Postgraduate Certificate in Nanotechnology is a part-time, online course leading to a postgraduate qualification at the University of Oxford. The course is designed for students wishing to study part-time. It will appeal to those working in the commercial or healthcare sectors, who use, or expect to use, nanotechnology in their work. Previous students include electrical engineers, materials scientists, project managers, patent agents, chemists, medical practitioners, plastic surgeons and food technologists as well as those involved in manufacturing, research and legislation. "I really enjoyed the module; in my academic and professional career to date I have had little exposure to the ethical and social science considerations of technology and so it was the first occasion I have had the time and opportunity to focus on the other aspects of technology development. The module content gave a good overview of the social, ethical, environmental and business considerations." "Although my background is in physics by education and electronics by career, by taking this course it has been instrumental in me obtaining a research post at the National Institute for Nanotechnology, Canada." "The Postgraduate Certificate in Nanotechnology most certainly helped me making a start in the field and I was even invited to write an article for the Royal Society 350th Anniversary Year incorporating aspects of nanotechnology for drug delivery applications. I would have not been able to make such a contribution to the field without the training received in the course!" The Postgraduate Certificate in Nanotechnology begins in October and runs for ten months. Students take three online nanotechnology modules. At the end of the third module, students are required to attend a residential weekend in nanoscale materials characterisation based in Oxford. This takes place at the University of Oxford's Begbroke Science Park in July. Module 3: Fundamental Characterisation for Nanotechnology (runs from April - July with a residential weekend) explores methods for investigating nanoparticles, thin films and nanostructures. Please note the module links take you to this academic year's running of the module (so the dates will be for the current year). Each module lasts for 7 or 10 weeks corresponding approximately to the University of Oxford's term calendar. Within each module, there are weekly live online tutorials lasting for one hour as well as assignments and problem sheets. Most students should expect to spend an average of between 10 and 15 hours per week on independent study in addition to the timetabled tutorials. Successful completion of Module 1 is equivalent to 10 CATS (Credit Accumulation and Transfer Scheme) points at postgraduate level. Successful completion of Modules 2 and 3 is equivalent to 25 CATS points at this level for each. The CATS points system is recognised by many UK higher education institutions as a method of quantifying credit for a particular course. Each module can also be studied independently as a short course, with or without academic credit. It is possible to successfully complete one module (maximum) as a short course with academic credit and, upon successful application to the University of Oxford's Postgraduate Certificate in Nanotechnology to start in the following year, then apply to be made exempt from needing to complete that module again. Students who successfully complete the Postgraduate Certificate in Nanotechnology with a mark of at least 60 and are subsequently admitted onto the MSc in Nanotechnology for Medicine and Health Care may be exempt from the need to complete those modules again. Please visit the Postgraduate Certificate in Nanotechnology on the University of Oxford Graduate Admissions website for details of the entry requirements. Christiane is the Nanotechnology Programme Manager at the University of Oxford's Begbroke Science Park. She is the Course Director of the PGCert in Nanotechnology and Deputy Course Director of the MSc in Nanotechnology for Medicine and Health Care. Christiane also teaches nanoscience and materials science at undergraduate and postgraduate level and is running Begbroke Science Park’s science and innovation schools outreach programme. Peter Dobson was forced to retire because of his age by Oxford University, but he is very active in research and teaching in nanotechnology, healthcare and environmental technology, working with several universities, and he advises several start-up companies and corporates and sits on the EPSRC Quantum Technology Strategic Advisory Board. Victor Burlakov is a Senior Research Fellow at Linacre College, Oxford, conducting research in applied mathematics at the Mathematical Institute. Frank Dillon graduated in Chemistry from the National University of Ireland, Cork in 2002. Dr Keith Simons, a chemist by training, is an independent innovation consultant who works as an interim manager in business development. Neil is the Facility Manager of the David Cockayne Centre for Electron Microscopy and faculty member in the Department of Materials. Apply skills gained in analytical techniques from across the physical sciences. To qualify for the Postgraduate Certificate in Nanotechnology students must actively participate in the online modules to the satisfaction of the course director. For each module, students must satisfactorily complete the coursework assessment. Assessed work will be a portfolio of assignments, including written reports, problem sheets and presentations, for each of the modules, totalling not more than 2500 words in length for Module 1, and not more than 6000 words for each of Modules 2 and 3. Assessment is based on individual research and group discussions, and is designed to consolidate the studied materials, and challenge and review questions, to encourage a deeper understanding and application of the materials. Assignments are submitted online. Accommodation for the residential weekend is available at the Rewley House Residential Centre, within the Department for Continuing Education, in central Oxford. The comfortable, en-suite, study-bedrooms are rated 4-star, and come with free high-speed internet access and TV. Guests can take advantage of the excellent dining facilities and common room bar, where they may relax and network with others on the programme. Fees must be paid in accordance with the 'Contractual and financial information' [see below] for this programme. All amounts are in pounds sterling. The course fees for the entry in October 2019 will be GBP £8,440. Applications for this course should be made online via the University of Oxford Graduate Admissions website. Please see the Application Guide for more information on how to apply. Later applications may be considered if places are available. Please contact the administrative team if you have any questions concerning the deadlines for the course. Help us to help you. Apply early - if you submit your application early, the Graduate Admissions team will be able to let you know if any items are missing. Applications must have been fully completed by the relevant application deadline in order to be considered, so please ensure that you have gathered your supporting materials in advance and have given your referees plenty of time to prepare their references before the deadline. Click here for a recommended timeline for applications. Please read our 'Contractual and financial information' before submitting your application. All the Department's Online Short Courses are developed by our Technology-Assisted Lifelong Learning (TALL) unit. To learn more, please see the TALL website. The MSc in Nanotechnology for Medicine and Health Care is an advanced modular master’s course, delivered by leading scientists and experts in this rapidly developing field. Farasat progressed from a PG Cert to the MSc in order to further his knowledge and research in nanomedicine. Robert progressed on from an engineering background to study and find a new career path in nanotechnology. The MSc in Nanotechnology for Medicine and Health Care allowed Tracey to continue working full-time whilst pursuing her interest in Nanotechnology. Following a career in the Automotive and Aerospace industries, Peter sought the challenge of studying Nanotechnology in retirement.